Whenever we are able to make interior finishings the main topic of discussion, we welcome the opportunity with open arms! We were grateful for the chance to sit down with our friends at Empire Communities, Canada’s largest integrated master-planned community homebuilders, and share our love for the design and building industry. Celebrating 25 years of homebuilding in both Ontario and Texas, Empire has built over 10,000 new homes and condos! We were eager to learn more about these builds, as well as to find out what sparks their inspiration when building communities, and we’re sure you are too. So, without further ado, let’s chat trim! The Finished Space: Can you tell us a little about Empire Communities and the company’s history? 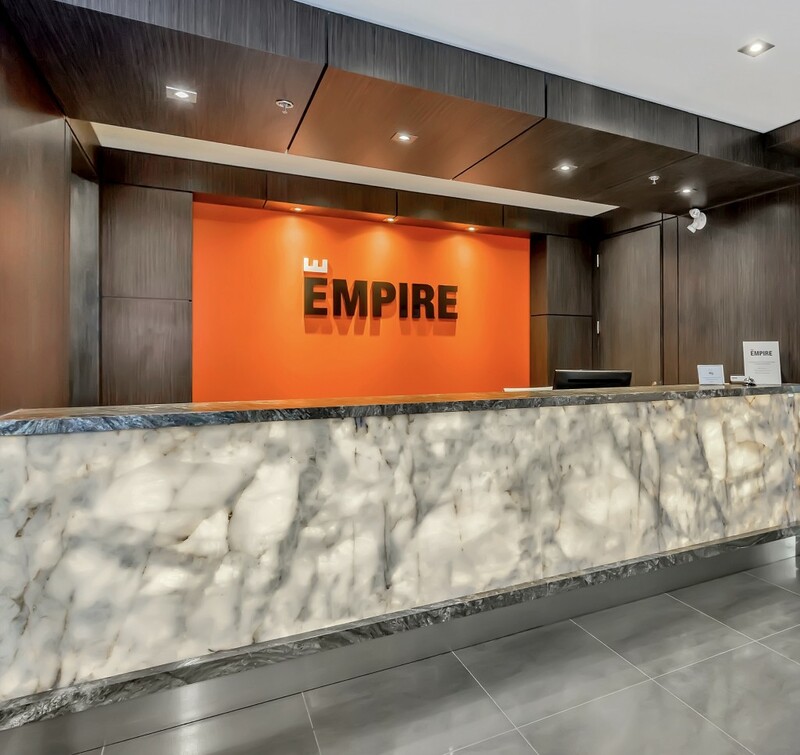 Empire Communities: Our founders’ families have contributed to the development of Southwestern Ontario and the Greater Toronto Area since the 60’s. With that solid foundation, Empire opened its doors in 1993 and has retained its distinct family values throughout our tremendous growth. Throughout it all, we remain focused on making sure each homeowner has a great experience and each family will enjoy their new home for years to come. 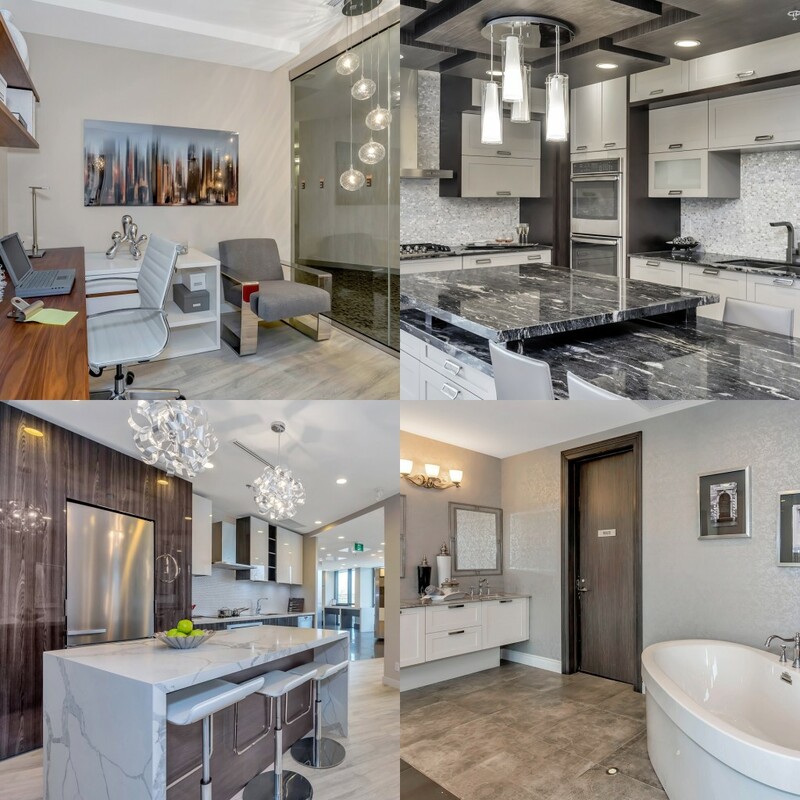 Empire Communities features an enticing Decor Studio, which features over 9,000 square feet of beautiful and inspiring vignettes, curated displays and designer-selected upgrade options. 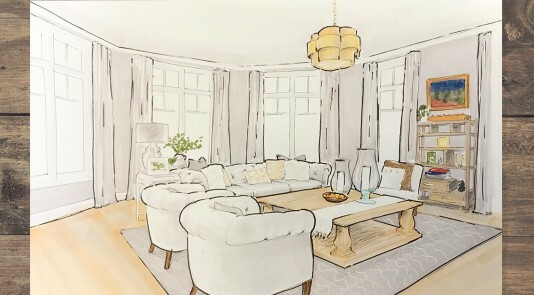 They also offer clients the wonderful opportunity to book an appointment with their design team to view these vignettes and seek help during the design selection process. TFS: Tell us more about your homes and developments, along with your design style. EC: We really look beyond building individual houses or condos and take a holistic approach to planning our communities. In our detached home communities, we focus on the master-planned concept and often work with the city to provide amenities that makes sense for that neighbourhood like on-site schools, community centers, trails and parks that homeowners will appreciate. For condominium communities we take a similar approach, ensuring we’re providing conveniences and services that make condo living great like 24-hour concierge, resort-like amenities and technology driven features. We also take home design very seriously, and are constantly looking at ways we can improve how our buyers will live in their homes. We focus on floorplan features that will give homeowners the space and options they’ll use everyday and that will help them live comfortably and efficiently, like breakfast nooks, planning centers, mudrooms and plenty of storage. 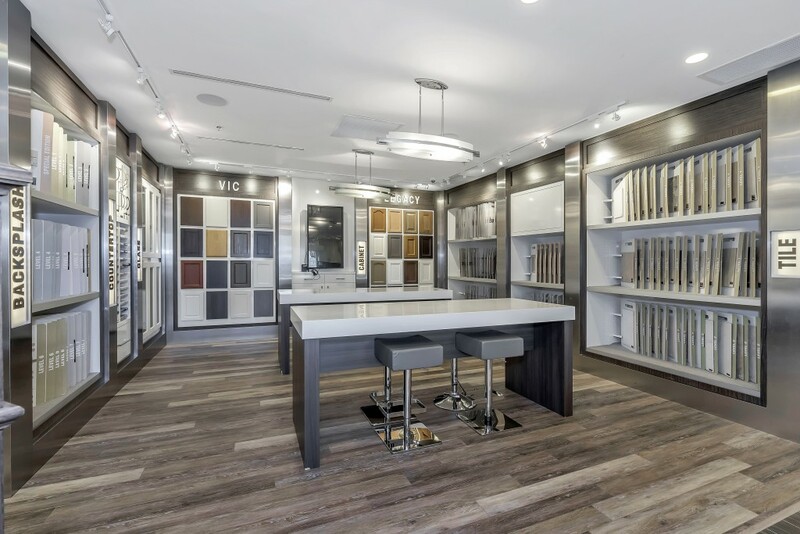 Our design team is always on the hunt for new finishes and materials to add to the breadth of options homeowners can choose from to make their dream home a reality. TFS: Can you give us more insight into your Decor Studio? EC: We’re incredibly lucky to have a really robust team of design consultants that have years of experience in everything from hotel to home design. 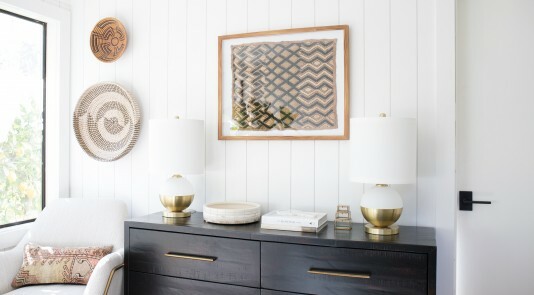 For most of our homeowners, our full-day decor appointment is one of the most exciting parts of the homebuying process. Our team’s diverse experience and background allows us to share the very best in style and design ideas. TFS: Where does your team look for design inspiration? EC: The team is constantly looking to the top emerging interior design trends at global shows as well as inspiration through fashion, design and even nature to bring the best items back to our buyers. 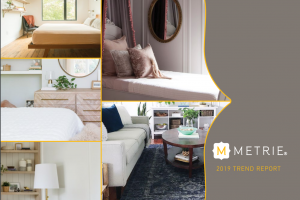 It is through relationships with top brands like Metrie that we are able to showcase new products and provide solutions for our homeowners to bring personalization and functionality to their homes. TFS: Our motto is to Finish before you start. How do you accomplish that in your homes? EC: We know that it can be hard to think about leaving room for upgrades when taking the leap on a new home, but we really encourage all our homeowners to take interior finishes into consideration when working through their finances. We’ve spoken to many homeowners who tell us a similar story; it can be tempting to wait to install your dream finishes until after you’ve moved in, but life often gets in the way and suddenly it’s been three years and you’re still living in a blank space. It’s important to ensure you’ve considered all options at the time of purchase so that you are able to add and budget for upgrades in your mortgage. If you’re worried about price or return on your investment, our knowledgeable decor consultants can help you choose timeless features that will increase your home’s value and provide quality enjoyment for years, like hardwood floors, wood banisters, doors and trim. 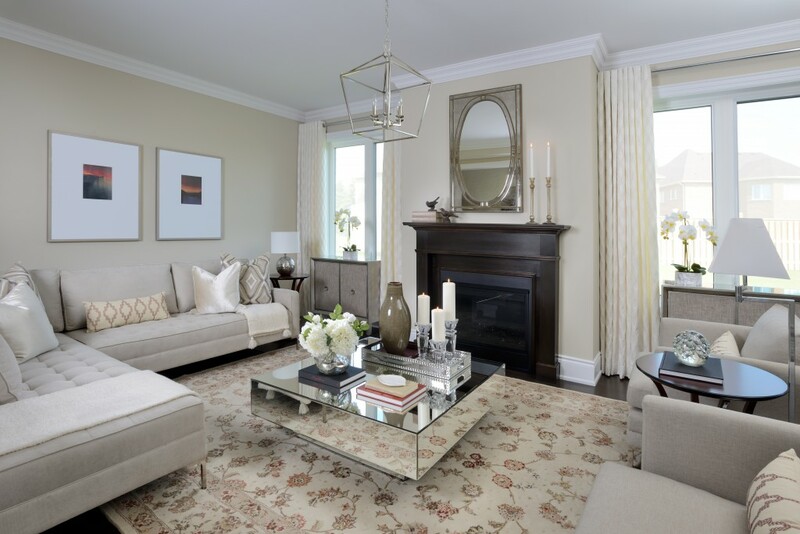 Speaking of trim, Empire has a variety of townhomes, condos and detached houses that offer exquisite uses of trim, from baseboard to casing, to crown moulding throughout their homes. For more trimspiration, you can browse their communities. 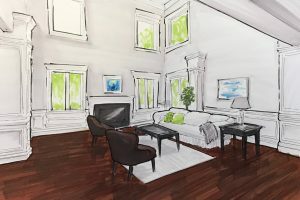 TFS: What interior finishings have you noticed as a top-seller for clients looking to upgrade their home? EC: Interior door upgrades are popular among our homeowners looking to add architectural detail and style to their home, the Riverside moulded panel door [from Masonite, brought to you by Metrie] is one of our top-sellers. TFS: What other home upgrades have the team noticed as being the most popular? EC: We’ve also noticed a lot of homeowners looking at larger windows in the basement and higher ceilings on the main floor. These are small changes that easily make your home look larger. For floors, this trend lends itself to a natural looking textured oak or light grey wood, and quartz and granite continue to be popular for kitchen and bathroom countertops. TFS: Is there is anything you would like to add about Empire Communities or your homes? EC: We really commit ourselves to continuous learning and innovation. Homebuilding is an art, but we know that if we’re not adapting our methods, technology and design we won’t be able to deliver what homeowners really want. For that reason, we’re constantly testing the latest technology, both in the building materials we use to make our homes and condos more energy efficient, but also in features that make everyone’s life better and easier. This can be anything from built-in doggy cams, audio and speaker systems, solar options, home monitoring, remote booking of amenities for condos and out of the box amenities that enhance people’s day-to-day. Understanding that buying a home is one of the biggest milestones in most people’s lives, Empire’s dedicated team is able to help support those through the journey. If you are also someone who is embarking on this journey, they have a wide variety of useful homebuyer resources you can check out here.